RadioDNS will be at the NAB Show in Las Vegas NV this April. Nick Piggott, Chair, and James Cridland, Secretary, will both be present in our booth during the exhibition (Apr 11-14). You’ll be able to see working demonstrations of RadioDNS-enabled technology on mobile phones and radio receivers; get literature around RadioDNS; and ask questions. 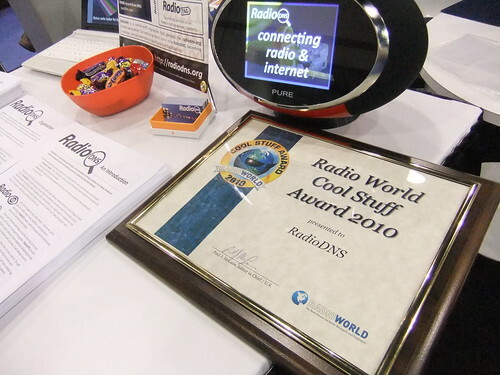 Additionally, RadioDNS will be taking part in the “Radio PIT”, a small and snappy demonstration area in booth C456. We’ll be giving a variety of talks about RadioDNS and accompanying technology, on the afternoon of Wednesday April 13th.